The Hoodrich is built to thrash. 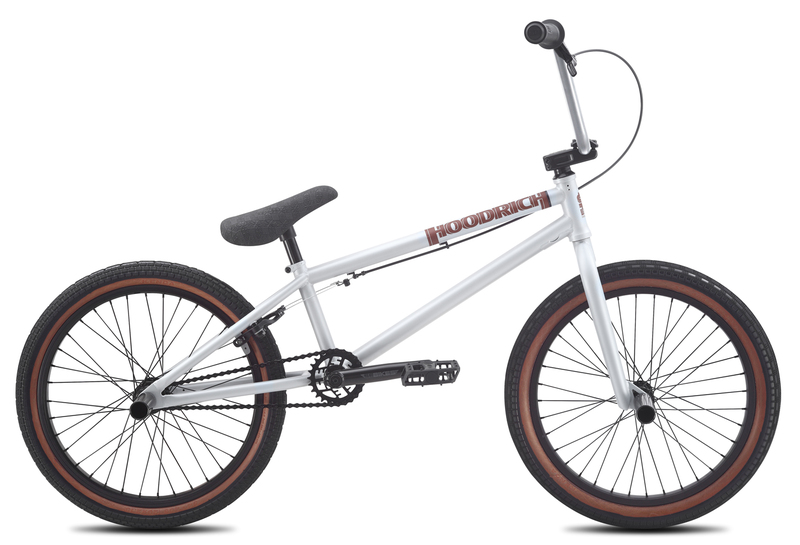 The frame features an integrated head tube, mid-BB, removable brake mounts, and a double-wall rear rim. 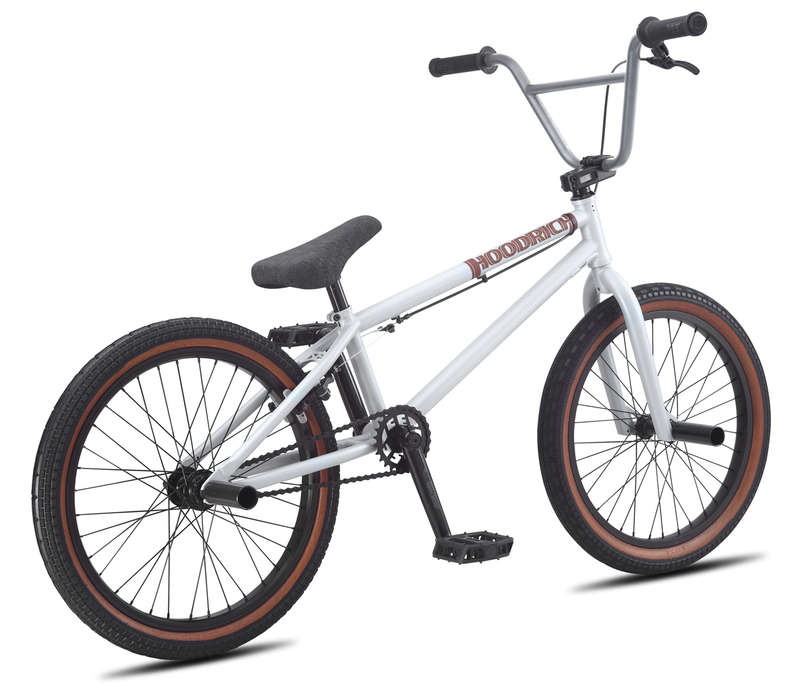 Add in the tapered fork, hidden top-cap stem, and nylon fiber pedals, and this bike is the king of the streets. 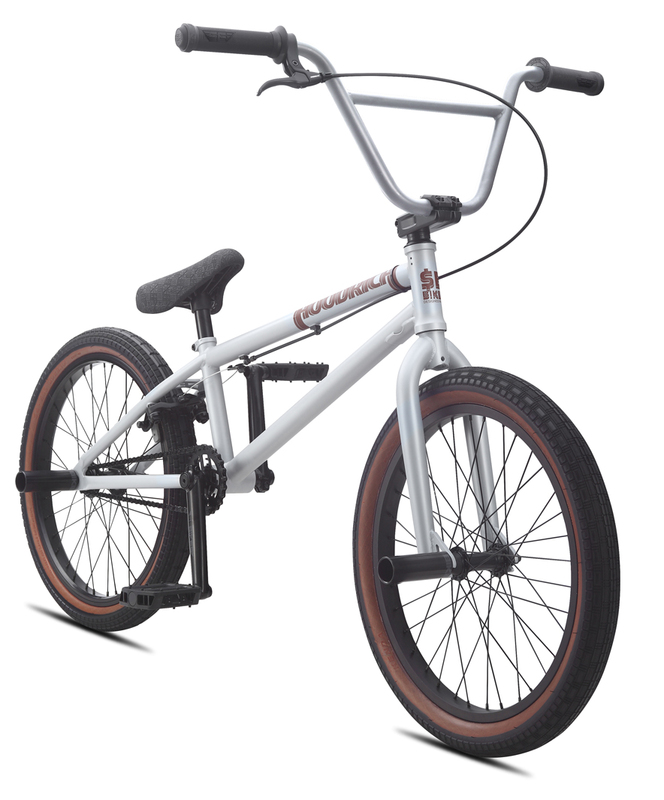 HANDLEBAR SE Powerwing Bar, 28.5" x 8.25"